If you are looking for an outstanding HVAC service, air conditioner repair, or need to perform AC installation to power your office or retail shop for commercial or industrial, you have come to the right place. At our air conditioner company, we are delighted to help populaces by our prodigious team who delivers excellent service for all brands and models of air con system. Our technicians wear the badge of skilled, competent AC Specialists with much awe. Your requirements may be different – AC repair or heating repair, AC maintenance, AC installation, you can rest assure that you are getting supreme quality, professional service probable. AC technicians at our air conditioner company are certified through Environmental Protection Agency (EPA). Through a rigorous training program, our students have gained comprehensive and thorough knowledge and dexterity in air con systems. Our aircon specialists have also gained scientific and hands-on application of design, which has fostered their competencies in this field. All of our aircon experts have certification and valid license as well. Some of the certifications undertaken by our experts are EPA 608, EPA R-410 A, EPA PM Technician, EPA IAQ, UNICO CPT Installer etc. HVAC technicians also need to take courses in vocational education, math, and physics to be placed successfully at our air conditioner company. In addition to the expertise in air con systems, our aircon experts also have good knowledge of plumbing and electrical work with fundamental knowledge in electronics. AC technicians have sound theoretical and hands-on knowledge in AC systems. Some of our HVAC technicians holds a certification from BCA Academy in AC engineering which renders higher education which encompasses design and troubleshooting of air conditioner systems. With certification in AC engineering, our technicians are able to make aircon units more efficient. Through an intense training program, they have gained knowledge in multiple facets like system charging or recharging, fine-tuning the AC unit for maximum efficiency. 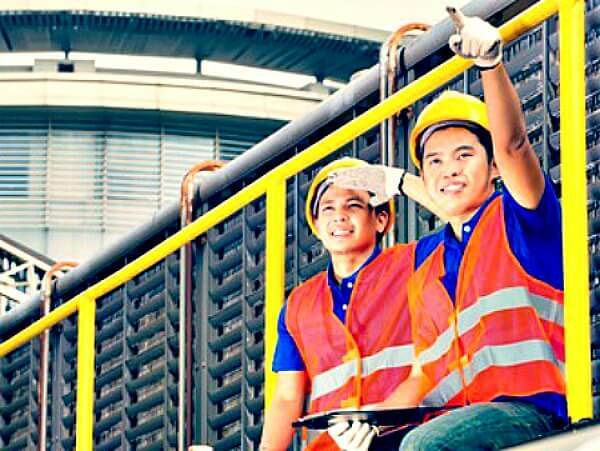 The AC technical program has empowered them to gain good understanding of aircon system. Skills of our HVAC technicians are further honed by an apprenticeship training program which usually span from three to five years. Diploma Program offers apprentices the prospects to know more about refrigeration and air conditioner system, refrigerants or coolants, electronic and programmable controls, etc. Whenever you face any problem with your AC unit, never try to rectify it in your own – air conditioner units are really complicated. They call for proper technical expertise – entrust your air conditioner related problems with us. We will evaluate your requirements and assist you in making a nifty resolution for your home. We love HVAC industry and we realize that you will be more than contented with the heating and cooling solutions we offer in Singapore.